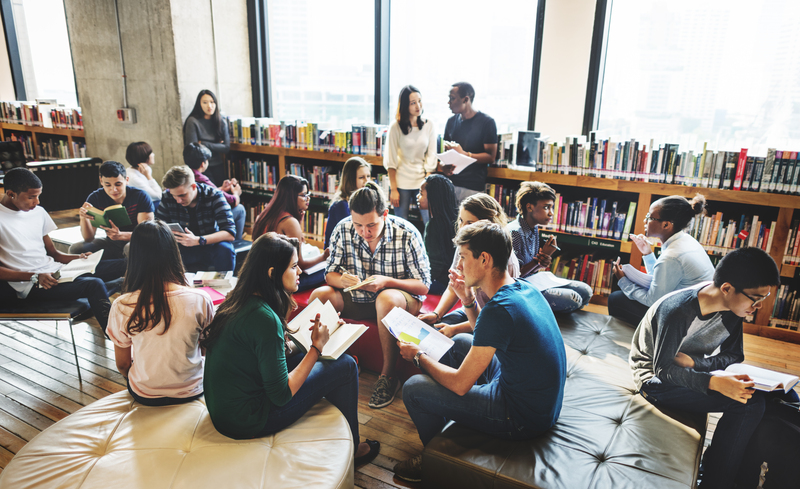 More and more colleges and universities are offering short-term on-campus programs that offer a taste of what life would be like at their institution. Many offer a mixture of academic and social content, courses taught by tenured professors, and even an opportunity to earn credit. These programs provide a fantastic way to discover college life and an enriching summer experience. The following is a selection of 2019 summer programs offered at colleges and universities around the world from our member institutions. Note - none of these programs have been endorsed by International ACAC. This is provided only as a resource guide for our members. Check the individual program websites for details, particularly concerning accommodations and guardianship. College & University Members - Don't see your 2019 program listed? Submit your institution's Summer Program here. This challenging five-week program awards college credit to rising high school seniors who are ready for a university experience at SCAD Hong Kong. Students enroll in two college-level classes and have the opportunity to build or enhance their portfolios. SCAD Rising Star participants utilize university spaces—from classrooms and computer labs to studios and production suites—in the development and completion of class assignments. SCAD libraries, galleries, and other resources are also available. Students participating in the residential program live in a SCAD residence hall, and all students enjoy meals at a SCAD dining hall. SCAD Summer Seminars offer workshops for high school students who have completed their freshman, sophomore or junior years. (Secondary school students ages 14-19 are able to participate in SCAD Summer Seminars Hong Kong.) Students gain valuable educational experience while developing their creative vision through exciting art and design assignments and projects. TS College Tours was established to serve international school students who plan to attend university in the US, Canada, and the UK. We offer high quality and great value college and university tour programs that are specifically designed for international school students. Our counselor tour leaders all have extensive experience in international schools and provide opportunities for students to better understand the application process during the course of the program through their seminars and informal discussions. Our programs help students determine what are their "best fit" type of colleges and to find out about the programs and applications processes of different colleges. Since 2008, we have helped almost 1000 students explore colleges and universities and find their fit! Our summer 2019 features programs in the Northeast, California, Midwest, Canada, and the UK! Visit our site to find out more. Woodstock values holistic development. Summer at Woodstock 2019 takes place from June 3-June 21, combining academic rigour with the energy and excitement of a summer camp for Grades 9-12. Through a range of courses, master teachers strengthen participants’ academic foundations for college and career. We create a powerful and unique sense of community through living and learning with diverse staff and peers from around the world. Participants also stay healthy through our world-class gym, diverse food options, and daily walks from dorms to school. The Summer at Woodstock experience of transformative learning is inspired and enhanced by the distinctive beauty of our pristine Himalayan surroundings. This year, we offer English Masterclass, Leadership, Indian Heritage & Culture, Entrepreneurship, Robotics, Design Thinking, French, Spanish, Music Production, Media & Storytelling, and Athlete’s Essential 11. The full fee for this three-week course is 1,47,500 INR, inclusive of 18% GST (around $2000 USD). This includes pickup from Dehradun airport, all course and activity fees, room and board. For more information and to register: https://www.woodstockschool.in/summer/. Designed for high school students currently in grades 10 or 11, Summer Academy unfolds over two weeks of academic classes, workshops, activities, and trips, and is supervised 24/7 by McGill staff and students. This experience will introduce you to university life and is sure to make your summer memorable! At UBC Future Global Leaders pre-university summer program, high school students ages 15-18 can spend an unforgettable summer experiencing university life. Taught by UBC professors and instructors, students choose from more than 30 academic courses, as well as a unique university preparation course. English language learners can improve their skills in English language courses with an academic focus. Study and socialize with students from more than 45 countries around the world and live on the breathtaking UBC campus in a supervised student residence. Download the 2019 UBC Future Global Leaders Program Information flyer in Korean. Program Contact Email: Varies by program, details can be found in the link. The IDEAS Summer Experience is a 2-week enrichment program for smart teenage innovators interested in addressing some of the world’s most serious challenges. Participants prepare for future university success by developing valuable research, problem solving, and communication skills; learn from our award-winning professors; live in a university residence; participate in on- and off-campus social activities; and apply their new knowledge in coming up with possible solutions to big world problems—the BIG Idea. The EU International Summer School is an intense three-week program specifically designed for high school students aged 16-18 who are interested in pursuing a career in business and want to experience university life prior to application. The academic content has been adapted from EU’s undergraduate offerings to provide you with the opportunity to prepare for your academic and professional future. All courses are taught in English by high-quality professors and business leaders, the same that teach in EU’s top-ranked degree programs. By joining the program, you will gain an insight into global business while connecting with people from different cultures and enjoying your summer break in the most vibrant city on the Mediterranean. PROGRAM COST: €3,200. However, if the booking is made before March 31, 2019, a €200 early-bird price reduction is applied. The EU Business Summer School is designed for current university students and recent university graduates of any academic background aged 18 or over who are interested in business, considering applying to a graduate business school or starting up their own company. By joining the program, students will update and expand their business knowledge while developing the soft skills necessary for a career boost. Students will have the opportunity to meet and network with dynamic, like-minded and entrepreneurial people from all over the world while enjoying their summer break in Barcelona, the most vibrant city on the Mediterranean Sea. Join one of our summer programs to take a sneak peek into the world of engineering. The unique combination of challenging lectures and workshops in engineering and leisure activities addresses technically interested students from age 16-19. The Carl Benz School offers two Summer Programs, the Carl Benz School Summer School at the Campus in Karlsruhe, Germany and the Summer Engineering Academy at the KIT branch in Suzhou, China. Both programs provide hands-on activities, company visits and lectures for young students to gain a first impression of the field of engineering. What are the summer schools about? - Get to know the world of engineering! - Attend fun engineering workshops! - Listen to fascinating lectures! - Find out about studying in Germany! - Meet people from all over the world! Program Cost: €450 (approx. $510). The fee includes room and board for the duration of the camp, excursions within the context of the Summer Camp, and participation in the workshops. We will also offer optional German-language courses as an add-on to the Summer Camp at an additional cost. Please refer to the Summer Camp website for more details. Master skills, theories, and techniques that will stoke your creativity and set you apart from your peers all year long. Students in grades 2-12 and recent high school graduates connect to supportive yet challenging learning networks in New York City and in Paris. Courses available in art, design, writing, drama, music, and film. Trinity Walton Club, through the Walton International program, is delighted to offer high school students a unique 10-day STEM (Physics, Technology, Engineering and Math) educational experience at Trinity College Dublin, Ireland. As a Walton International Alpha, you will work alongside like-minded Irish students, STEM academics, and PhD students from Trinity College, while engaging in STEM activities such as designing mathematical functions; building micro-controlled projects; experimenting with Newton’s Laws, and more! Additionally, you will experience what the internationally renowned Trinity College, the University of Dublin, and Ireland, have to offer as a prospective undergraduate student. For incoming junior and seniors interested in the intellectual challenge of a true undergraduate experience. Three weeks of culture and language immersion, each week in a different campus of the Universidad de Navarra - Madrid, Pamplona and San Sebastian. This summer school gives future vet students a unique learning and work experience. A wide range of sessions introduce students to studying and practising veterinary science in the UK and contribute to the work portfolio necessary for applying to vet schools. The program is recommended by 100% of our 2018 cohort and includes the following sessions: small animal practice; clinical skills; visits to a dairy unit and sheep farm; participation in consultation sessions at our equine and small animal hospitals; a tour of the zoo with a lead zoologist; and exotic species handling. A comprehensive social itinerary and constant student-staff support complete the program. Who: Open to student aged 16+ studying biology or chemistry with an interest in pursuing veterinary science at university. Program cost: £2350. This includes: full-board single-room accommodation, tuition and study materials, social activities, day trips, airport transfers (from Heathrow or Bristol), welcome pack, 24-7 student support workers, end-of-course certificate, admissions advice and networking events. The NU-Q Summer Media Program is an exciting opportunity for high school students to experience the fields of media and strategic communications in a multinational environment. Miriam Berg, assistant professor in residence, will lead students in hands-on activities, utilizing Northwestern University in Qatar's state-of-the-art media equipment and facilities. In addition to academic coursework, the program provides excellent opportunities for college preparation, application guidance, essay writing, and more. Intensive Summer Courses in Chinese, Japanese, and Russian. CLS offers you the opportunity to become fluent in a critical language. Our rigorous immersion programs are ideal for students and professionals who want to make remarkable progress in a short period of time. No matter where you are coming from or where you plan to go with your study of Chinese, Japanese, or Russian, CLS has a course for you! Live your language dawn 'til dusk. Stellar teaching. Rigorous learning. Complete 1 year of language in 7 weeks. Earn 8 semester hours of college credit. Founded in 1866, Carleton is a private, highly selective liberal arts college located in Northfield, Minnesota, U.S.A.. Our three-week summer programs are a great option for high achieving sophomores and juniors to earn college credit. Our summer programs for 2019 include the Summer Writing Program, Summer Quantitative Reasoning Institute, Summer Computer Science Institute, and the Summer Humanities Institute. Our application opens December 15, 2018 and the final deadline to apply is March 22, 2019. The Elmhurst College 2019 Collegiate Immersion Program in America gives international students the opportunity to study in the United States and earn college credit as well as learn more about studying and living in America. Students also will be immersed in the fun and excitement of a busy Chicago summer, with weekday and weekend activities ranging from major-league baseball to high-end shopping, world-class sightseeing to world-renowned dining. The Summer Immersion program offers a rich, intensive academic and cultural experience similar to what collegiate life is like in the U.S., and more. 15 hours of classes per week focusing on speaking, listening, and reading. Classes led by experienced instructors. Daily Cultural and Professional Activities led by our staff off-campus. Company visits and discussions with business leaders. Explore Chicago, Milwaukee, Madison and more. Earn college credits and a certificate of completion. Interact and live with local students at our student housing, Tech Village. Rooms are fully furnished. A residential summer program for high school students, where you will hone your creative writing skills in workshops led by an Associate of the Bard College Institute for Writing and Thinking. You will be a short train ride from Chicago where you may explore and write at such places as the Art Institute of Chicago, Millennium Park, and the Neo-Futurist Theatre—all with young writers who share your interests. Our writing community takes advantage of the wealth of Chicagoland’s cultural and natural resources to inspire you to new creative heights in your writing. With its 100 acres of wooded areas and walking paths, a mile from the Lake Michigan shore, the Lake Forest College campus offers an ideal setting for a summer, residential program for young writers. Summer camp? Sort of... but better. Our programs aren't ordinary, and neither are our students. They build robots, perform chemical analyses, explore entrepreneurship, and explore ecosystems. They come from across the country and around the world to learn engineering, digital photography, molten metal casting, and more--all in an adventurous, fun, and hands-on way. For over 40 years, Michigan Technological University faculty, students, role models and other professionals have been leading Summer Youth Programs' middle school and pre-college explorations, as well as competitive scholarship programs. Our programs are built around activities, field trips and team projects. Summer Youth Programs is a division of the Center for Pre-College Outreach at Michigan, and we offer students an opportunity to experience a week-long miniature version of college life. Students live in our full-service residence hall, eat in the dining hall, and participate in their chosen exploration. There are many courses and explorations to choose from, including computing, engineering, humanities, outdoor and environmental studies, and many more. Over 1,000 students travel to Michigan Tech's campus each year from throughout the country and around the world; places such as South Korea, Canada, Spain, Japan, Bahrain and Pakistan to name a few! Evenings allow students to relax and participate in many different recreational activities that range from athletics to a variety show, from crafts to exploring the scenic Keweenaw Peninsula, all while under the supervision of our professionally trained activities counselors. Residence counselors provide general supervision at night and serve as mentors to the students by conducting nightly floor meetings to reflect on the day's adventures. The College Preparation Program at Northwestern University is a summer program for high school sophomores and juniors who want new academic challenges and the experience of real college life. Students can take three- to six-week undergraduate courses for credit at Northwestern, or enroll in a two-week noncredit IN FOCUS Seminar in a special topic area at the university ranked #10 nationally by U.S. News and World Report. Experience college life in the world-class city of Chicago at Northwestern University this summer. Northwestern University Summer Session, in partnership with the US Department of State's EducationUSA network, also offers a three-week EducationUSA Academy for international high school students. This unique academic program provides instruction in English, college preparatory content, tours of diverse college and university campuses, and cross-cultural activities for 15- to 17-year-old students from around the world. Students in grades 10-11 may apply for the Secondary Student Training Program (SSTP), a 5-and-a-half-week residential summer research program at The University of Iowa’s Belin-Blank Center. Conduct research with world-class faculty at a research-intensive University. Participate in classes, evening tours, lectures, and events that will stretch you as a researcher and scholar. The program concludes with a poster competition and a research conference-style poster session. You can learn more about SSTP by reading our blog and reviewing past participants' posters. SSTP has application and program fees. Mizzou International Experience (MIE) is a destination for students who want to explore beyond classroom walls and international borders. Join us in the heart of the U.S. for a summer of self-discovery, fun, and learning. Our program helps students to jump-start their professional development journey and grow as successful young professionals and leaders. MIE's innovative curriculum is designed to engage and challenge high school students (grades 9-12) through an immersive real-world environment. Activities include site visits to academic departments and Fortune-500 companies, hands-on academic exercises, and social activities. Two-week, four-week, and six-week program options are available. iLED is a two-week curriculum taught by Notre Dame faculty with a focus on international leadership. It includes lectures by professors, hands-on learning, collaborative projects, business and community engagement, and many extracurricular activities. The iLED participants come from a multitude of countries and cultures, which further contribute to the meaningful development during the program. Students take courses at the College of Engineering, College of Science, Mendoza College of Business, College of Arts and Letters, Keough School of Global Affairs, and the School of Architecture. The program offers the best exposure to life at Notre Dame and broadens students’ understanding and knowledge on the disciplines of science, engineering, business, social sciences, global affairs, innovation and entrepreneurship. In addition to taking class with Notre Dame faculty, students also enjoy a wide range of extracurricular opportunities and field trips. Notre Dame's Pre-College programs offer exceptional students the opportunity to experience the life of Notre Dame college students, from participating in stimulating seminars to residence-hall living. Participants will walk away with a taste of the college experience, as well as Notre Dame's unique, multifaceted approach to the life of the mind, heart, and spirit. Summer Scholars participants spend two intense weeks in one of 22 exciting programs of study in small classes with close faculty interaction, as well as collaborate on research and presentations. Summer Scholars participants are eligible to receive one college credit. Leadership Seminar is a competitive, all-expenses-paid (including travel) program on Notre Dame's campus for academically talented students who show impressive leadership within their communities. Approximately 90 students are admitted to Leadership Seminars each year, and students are eligible to receive one college credit. Our EducationUSA Academy provides students age 15-17 with the tools and experience to successfully prepare for and excel in the American college environment. Through either a Career Exploration or Intensive English track, you will extend your education beyond the classroom during three amazing weeks of education, social and service engagement. Students from around the globe come to New York City to pursue their passions in a rigorous, academic setting. With five distinct programs to choose from, ranging from entrepreneurship to dance, you have the unique opportunity to explore an area of interest on a deeper level through both in-class discussions and city exploration. As part of the learning experience at Barnard, you will get a taste of both college life and the Big Apple! Applications go live on December 17, 2018. Financial aid is available by application until March 23, 2019. Our Summer Pre-College Programs will show you what life at Carnegie Mellon is all about - from the classroom to what's happening on weekends. You'll meet people from all over the world, be inspired by our world-renowned faculty, take part in the excitement of campus and have the opportunity to explore the city of Pittsburgh. The 2019 Fordham IALC Summer Institute "Many Worlds | One City"
The 2019 IALC Summer Institute "Many Worlds | One City" is a unique language immersion program that takes learning out of the classroom and into the real world. Participants sharpen their English language skills in an innovative model combining intensive classwork with topical and interactive excursions into the vibrant neighborhoods of New York. Emphasis is placed on fostering real communicative ability in English. Participants enjoy opportunities to activate their language skills through hands-on experience while exploring one of the world’s most dynamic and fascinating hubs of creativity and multiculturalism. The program runs in two sessions: Session 1, "People, Culture & Society" runs from July 8th - July 17th, and Session 2, "Art, Technology & Creativity" runs from July 18th - July 27th. Participants may join a single session or both sessions. Tuition includes 18 - 36 hours of in-class language instruction, airport transfers, entry tickets to special events, transportation in New York City, and certificates of participation. Housing and meal plans are optional. See https://www.fordham.edu/esl for other Fordham summer English program options and https://www.fordham.edu/info/20184/summer_session for general summer classes information. The Ithaca Writers Institute, a noncredit summer program for high school students, offers two weeks of intensive writing workshops on the campus of Ithaca College in the Finger Lakes region of upstate New York. Unlike most other young writers conferences or precollege summer writing camps, which focus primarily on creative writing, the Ithaca Writers Institute hosts a wide range of both creative and professional writing courses, from poetry to publishing, building on Ithaca College’s reputation for blending praxis with the arts. Taught by the distinguished faculty of the College’s Department of Writing, with assistance from the department’s most talented undergraduates, the curriculum mirrors the department’s own unique curriculum, giving aspiring young writers an immersive conference experience in an authentic college atmosphere. Our mission is to provide a creative and supportive environment for young adults to grow as musicians and people. Our high school program is unique in that it offers a residential pre-college experience with a rich offering of music courses, as well as non-music courses, taught by Ithaca College faculty and top music educators from across the country. Our intermediate program provides young musicians with the opportunity to work with renowned faculty in a fun and supportive environment. The high school division offers intermediate and advanced music students the opportunity to work with renowned faculty in a challenging yet supportive environment. Students will participate in large ensembles, chamber ensembles, masterclasses, and an array of music and non-music courses designed to prepare students to enter college. The Ithaca College School of Music invites talented young pianists for 10 days of intensive piano study in the heart of the Finger Lakes. Pianists aged 12 - 18 years old are welcome to apply. Nationally and internationally known Ithaca College piano faculty members provide daily lessons, workshops, classes, and supervised practice. Private piano lessons Small group lessons Theory class Master classes Daily piano ensemble and sight-reading Final Showcase Recital Counselor Piano Recital, Jazz Recital, and Faculty Collaborative Recital A singing experience! Find out how singing can help your piano playing! Elective Choices Supervised practice may be available Full use of the James J. Whalen Center for Music. The Summer Piano Institute welcomes residential and commuter students. The Pre-College STEM Institute is a three-week, residential program that provides high school age students with the ability to work hands-on with Ithaca College faculty and IC undergraduate students while assisting with ongoing lab and field research in Biology, Chemistry, Physics and Astronomy, and Environmental Studies and Sciences. STEM Institute students earn 3.0 credits of undergraduate research from Ithaca College. Students live in an Ithaca College residence hall and are provided with a full meal plan as part of the program costs. A full schedule of STEM lectures, panel discussions and social activities in the evenings and on weekends is part of the STEM Institute curriculum. In just four weeks, learn how to think like an entrepreneur and tackle problems from multiple perspectives, discover your leadership potential and make friends from all over the world. Offered by Lehigh University’s Iacocca Institute, an innovator in global leadership experiences for more than 20 years, this immersive program includes interactive learning opportunities, team projects, company visits, cultural activities and discussions with entrepreneurs and executives. Marist Summer Pre-College is an academic program for rising high school juniors and seniors. Students can experience college life while earning three to six transferable college credits in one of 19 different course offerings. Students will have the opportunity to make new friends and learn from experienced faculty and industry professionals, all while spending part of their summer in the heart of the Historic Hudson River Valley.New York Programs: Business, Creative Writing, Criminal Justice, Cybersecurity, Digital Toolbox, Entrepreneurship, Environmental Science, Fashion Design, Fashion Merchandising, Film & TV Production, Game Design, Pre-Health, Pre-Law, Psychology, Sports Communication & Theatre.The 2019 application is now live! Visit us on the web to learn more about the summer pre-college programs, dates, cost, and how to apply: marist.edu/precollege. tMaster skills, theories, and techniques that will stoke your creativity and set you apart from your peers all year long. Students in grades 2-12 and recent high school graduates connect to supportive yet challenging learning networks in New York City and in Paris. Courses available in art, design, writing, drama, music, and film. The English Language Programs of Saint Michael’s College offer several short-term summer academic language and culture programs for international students aged 17 and up. All levels of English proficiency are welcome. Students select from content-based courses similar to those offered in a liberal arts college curriculum to help develop academic language skills as well as knowledge of fascinating topics. A wide range of off-campus activities that allow students to experience all that summer in beautiful Vermont has to offer are included in the program. Stony Brook runs a 2-week summer program for international high school students where our students are immersed in English instruction, exciting academic lectures, demonstrations and labs taught by Stony Brook faculty in courses such as engineering, pre-med, marine science, math, etc. In addition, we offer US admissions projects including college campus tours at Ivy league schools and cultural activities in New York City and Long Island. [email protected] pre-college summer programs are designed for the curious, innovative high school learner who is eager to explore a passion, become immersed in a rigorous learning environment, develop the skills necessary to succeed in college, and make an impact on the world. Two unique opportunities are slated for this summer: the first is the Global Leaders Program where students work in diverse teams to learn how to truly become changemakers in a five-day seminar entitled “Innovation and Social Change”, and a five-day preview of college life in the US through faculty and staff-led sessions designed to immerse them in a variety of academic and co-curricular experiences that will build their confidence and broaden their aspirations. The second is the Business and Technology Immersion Experience where students will take a college-level course alongside our Wheaton students and earn college credit. High school students will get to start exploring the exciting opportunities available at the intersection of technology and business by "making" in our world-class makerspaces, and building innovative solutions to the problems they identify. Students will also visit several of the world-famous high-tech companies located here in the Boston area, having an unparalleled opportunity to meet with industry leaders. The application deadline for both of these programs is April 1st. However, space is limited and since we will accept students on a rolling basis early application is advised. Please note that a limited amount of need-based financial aid is available to support students who might otherwise not be able to attend. Global Leaders Program: June 29th - July 12th. Business and Technology Immersion Experience: July 6th - Aug 2nd. Learn about who you are -- and study what you love before you apply to college at the University of Rochester's Pre-College Programs! High school students can experience life at a U.S. college during the summer months. Participants can take advantage of various classes from our extensive academic summer program portfolio while experiencing college life in our residence halls and on-campus. Students can join in an intensive three-week program in engineering, medicine or business. Others can opt to take a course for college credit, while the remainder explore exciting hands-on experiences through our noncredit college-like seminars that reflect Rochester’s areas of study in the fields of the arts, engineering, history, humanities, medicine, modern languages, music, and sciences. Our partners from around the community include the Eastman School of Music, the University of Rochester Medical Center, the School of Nursing, the Simon Business School and the Hajim School of Engineering. Yale Young Global Scholars (YYGS) is a summer academic enrichment and leadership program for outstanding high school students from around the world. Each summer, students from over 100 countries participate in one of nine 2-week interdisciplinary sessions - offered in the humanities, social sciences, or STEM fields - and immerse themselves in a global learning community. YYGS emphasizes an open, exploratory, and collaborative approach to learning. Our program is designed to allow students to experience learning in a variety of different university contexts, from large lectures to small seminars, and even the spontaneous learning that happens in dining halls and around campus. YYGS offers need-based financial aid that covers partial- or full-tuition discounts (up to $6,250, or 100% of tuition), as well as scholarships that cover travel assistance. The deadline to apply for 2019 YYGS summer programs is February 6, 2019, and students can visit https://globalscholars.yale.edu/admissions to apply. The week will feature presentations and workshops put on by the top men and women in their fields, allowing students to engage with real-world business practitioners and entrepreneurs. Throughout the week, students will create their own business idea and present to CUA "Shark Tank" judges. An intense three-week, pre-college workshop for students interested in architecture or other design-related fields. Students are exposed to both the academic and the professional sides of the architecture arena, as the city of Washington, D.C., becomes their classroom. This year Experiences in Architecture launches a new partnership with the U.S. Green Building Council (USGBC) offering special LEED certified building tours, sustainability expert lectures and more. Train with theatre professionals in the nation's capital! Through classes, demonstrations, and hands-on experiments, students will experience what college engineering majors and professional engineers do. Living on campus, students also get a "taste" of college and exposure to the best of Washington, D.C., including special museum tour, sporting events, and various other safe recreational activities. A fun look at applied mathematics to inspire students to study STEM fields -- everything from creating and cracking codes to trips around Washington DC, including the National Monuments, NASA, the NSA Cryptologic Museum, and the Air and Space Museum. Motivated high school students can get a taste of the Centre Experience this summer at Centre College’s Summer Scholars Program. The Program emphasizes global diversity and awareness issues that are critical to any student preparing for higher education. The intensive, two-week program incorporates informed discussion, field study at area locations, and evening programs that include talks by leaders in their respective fields. Students will live on campus and be integrated into the life of Centre College. Florida Tech Girls in Engineering, Mathematics, and Science (GEMS) Summer Program provides hands-on exploration of STEM fields. Lab experiments and field trips to the Sebastian Inlet, Laser and Plasma Spray Lab, and Kennedy Space Center. Campers (9-12th graders) will be exposed to cutting-edge applied research in various areas. The program offers on-campus housing, meals, supplies, field trips and KSC admission. Students will work closely with professors, meet top executives and business owners, to develop a business plan you one day hope to implement. Plus, you’ll participate in American culture activities with students from around the globe and leave with many new friends and memories. Students attend workshops and have an all-access pass to the university’s extensive facilities, resources and libraries. Workshops may include demonstrations, lectures, studio work and local field trips, and are taught by SCAD professors, alumni or select graduate students. To provide maximum individual attention and collaborative interaction between students and instructors, class size is small, with generally 20 or fewer students in each workshop. Organized daily social and cultural activities create an authentic experience of life as a SCAD student in the city. During the Choral Institute high-school students will experience singing worship services at All Saints' Chapel, interacting with orchestral musicians, learning about the music program at Sewanee and engaging in social activities on the campus. The anticipated cost per student for the Choral Institute is $950. This will cover lodging, meals and materials for the weeklong Sewanee experience. The University Choir is the oldest student organization on campus. The choir participated in the founding of the university in October of 1860 singing Psalm 100 as part of the service. Currently there are 50 undergraduate students from different faith backgrounds and traditions that sing in the choir, which is 3 percent of the student body. There is a great tradition that has been established by the choir by leading Episcopal services at All Saints Chapel as well as all of the major academic services at the University. Our goal is to recruit talented musicians from across the country so that they can learn and appreciate the tradition of this ensemble in the context of the University. Sewanee's Pre-College Field Studies Experience is a summer residential program for talented students who are passionate about the outdoors and interested in advancing their knowledge and skills in the study of the environment. Led by full-time faculty at the University of the South and utilizing its 13,000-acre campus atop the ecologically diverse Cumberland Plateau, the program provides an interdisciplinary introduction to environmental studies. This two-week experience explores the diverse ecosystems of the Cumberland Plateau: its forests, coves, streams, lakes, wetlands, and caves. Students participate in ecological exploration with senior faculty examining the plant and animal species that inhabit these ecosystems and use archeological techniques, along with GIS and GPS technology, to study how people have used and changed these ecosystems over time. Students learn how conservation strategies are currently being employed to protect the integrity of Plateau ecosystems into the future. The experience is conducted almost exclusively in the field, featuring field mapping equipment, digital photography, ecological assessment techniques and group research projects. As part of this experience, students have the opportunity to take part in a number of outdoor recreational activities such as hiking, bouldering, canoeing, caving, and mountain biking. One of the nation’s premier orchestra and chamber music training festivals. Festival participants will be fully immersed in the musical experience. Students will participate in daily orchestra rehearsals and chamber music coaching, as well as weekly lessons and master classes with our renowned faculty. In addition, participants can select to study composition, attend a conducting workshop, compete in our annual concerto competition, or perform in our student showcase concerts. Each week, both symphony orchestras and chamber ensembles perform for our Sewanee community in popular and well attended performances in Guerry hall. Educational outreach community performances and a rousing 4th of July celebration round out a full, but rewarding summer season. Our faculty come from leading orchestras, chamber ensembles, conservatories and university programs. They come to Sewanee each summer to perform, teach and inspire the next generation. Our workshops in playwriting, fiction, poetry and literary nonfiction are led by writers of significant accomplishment and promise: our former workshop leaders have won the Roerich poetry prize, had their books named Notable Books of the Year by the New York Times, been recognized by The New Yorker as among the twenty best young American novelists, and been featured by Oprah’s Book Club. And they are not just good at their craft: they are writers who love to teach and have experience working with teenagers in the classroom. The workshops have no more than twelve students, and we enroll a total of about seventy young writers. Because we keep our numbers low, our teachers really get to know their students, and vice-versa. We also make space in the schedule for one-on-one conferences between students and teachers, so that individual needs can be addressed outside the group setting. At its core, SUMMA Student Theological Debate Society is a debate camp for high school students, but it is so much more than that. It is a camp of study, of laughter, of faith, and of fun! SUMMA was founded on two premises. The first is that debating leads to clearer thinking. The second is that clearer thinking can open pathways deeper into Christian faith, and hope, and love. So becoming a good debater is not the final goal in SUMMA, as useful as that is. Nor is becoming a more reasonable and careful thinker our final goal, as important as that is. In SUMMA, we strive toward deeper understanding of the Christian faith by probing and debating questions with skill and intellectual distinction: In SUMMA, that’s the prize. Tulane University understands that the world is facing some big challenges. To inspire the next generation to think, learn, act, and lead, we are offering students an opportunity to participate in the Tulane Pre-College programs this summer. Tulane Pre-College offers middle and high school students the opportunity to explore their artistic, intellectual, and professional passions while experiencing college life. With both credit and enrichment options, our different 2, and 3-week programs reflect the richness and diversity of the areas of study at Tulane University. Young minds can explore academic disciplines, build their resumes and imagine a future where they can make an impact. We offer courses in STEM, Leadership, Architecture, Sports Medicine, and Public Debate. Our all-inclusive program provides students with an integrated skills course in American culture with English language workshops, cultural excursions, travel, sightseeing, and language immersion. Students experience life in the 7th largest city in America, San Antonio, Texas. San Antonio offers rich culture, UNESCO world heritage sites, and the world-famous Alamo and Riverwalk. Summer College for High School Students is a four-week academic program for high-achieving high school students who want to experience university life prior to their first year of enrollment. The program allows rising juniors and seniors to earn transferable college credit, or dual credit (high school and college credit), become familiar with the collegiate environment in the United States and develop social, personal, and academic skills that will improve their overall success in college. International students may choose from the Intensive English track or 18 different undergraduate studies track. USF Pre-College invites high school students from throughout the country and around the world to an outstanding summer experience at the University of South Florida. Students with exceptional ability and promise will pursue academic interests, discover career paths and explore the independence of university life. Beyond the classroom, group projects and social activities offer opportunity for fun, friendship and collaboration with equally talented peers. Students may enroll in one or more pre-college programs, selecting from a broad spectrum of academic disciplines. Programs range from four days to four weeks and offer residential or commuter options. Program topics range from STEM, Pre-Medicine, College Preparatory, Leadership, Service Learning, Entrepreneurship, Advertising, Film, and more. International Academy is a short-term program that provides international university students an immersive experience in a top-ranked global university to improve students’ English skills and prepare them for further studies abroad. International Academy consists of eight specialized tracks:-Accounting-Engineering-Software Engineering-Petroleum Engineering-Educational Psychology-Teacher Training-English Language and Culture-Advertising and Public Relations Students will gain first-hand experience in their selected track with curriculum that focuses on practice, problem-solving, and application, while improving their ability to communicate their subject-area knowledge in English with oral and written communication classes. Classes will meet five days a week, for a total seventeen hours. Additionally, students will enjoy such opportunities as field trips, site visits, and other experiential learning outside of the classroom, as well as cultural and social excursions in and around Austin, Texas. International Academy is an all-inclusive program. $4500 covers the tuition, fees, health insurance, housing, meals, books, transportation, and all activities and excursions. The Department of Film Studies at The University of Tulsa offers a residential filmmaking camp for high school students. Students will have the opportunity to plunge into every aspect of creating films, as well as exciting evening group activities and film screenings. The camp will culminate in a festival of student work to display for friends and family. TU alum Cameron Buckley (BA ’14) will serve as instructor for this year’s Filmmaking Camp. Dr. Joseph Rivers and Professor Jeff Van Hanken will also make presentations on aspects of film production, screenwriting and film scoring. ASU’s Master Learners Academy provides high school students with a transformative educational experience at a highly ranked university by combining challenging academics with a rich array of extracurricular programming. Robotics, Technology and Invention program: This program will cover robot construction; visual, language and digital programming; and a robotics challenge; plus invention and innovation techniques. Join our English language and culture program at Central Washington University. This program consists of intensive English language training courses, conversation partners, afternoon activities, and weekend excursions. Students study and live on campus, in the safe, friendly town of Ellensburg, WA, only 1.5 hour drive from Seattle, and at the base of the beautiful Cascade mountains, which offers many recreational activities. Students can participate anywhere from 1 to 8 weeks and classes meet five days a week, for a total up to 20 hours per week. Field trips may include Future of Flight Aviation Center (Boeing), Microsoft Visitors Center, and Seattle Mariners baseball game. Students may also go horseback riding, river floating, hiking, and participate in service learning projects. The Global Business Academy is a summer program for current high school freshmen, sophomores and juniors. Create great summer memories with a 13-day, action-packed experience with students from around the globe to learn about how to use business to create a better world. The program will include an overnight stay at CSU’s beautiful Mountain Campus in the Rockies and give you a taste of college life staying in the University dorms in Fort Collins. The focus of this program is on language, culture, and college immersion , including: -20 hours of English language learning taught by college ESL instructors -Enriched class learning in various topics, such as biotechnology, history, anthropology, etc.-Tour University of Washington-Visit 20 Seattle landmarks, parks, museums, and company headquarters -Volunteer with a Seattle non-profit organization -Live with local American host families -Certificate and conditional admission granted for successful completion of the Short-Term Program. UCLA Summer Sessions offers students from around the world the opportunity to advance their studies while experiencing UCLA’s academic rigor and excellence. High school students can choose from over 100 college-level courses in a six-week program or select short term (1 to 4 weeks) Precollege Summer Institutes, which combines real-world applications with UCLA courses in an intensive format. Over 1,500 international students come to UCLA each summer and enjoy an extensive array of campus resources, including libraries and athletic facilities, as well as cultural events that are among the world’s finest. Learn directly alongside UCLA students and receive an official UCLA transcript for credit transfer upon completion. Join other intellectually curious high school students on campus at the University of Montana's Davidson Honors College this summer. Students will engage in an honors college experience by living on campus while also earning college credit. The program will offer a choice of one of three classes taught by University of Montana faculty and students will earn 3 college credits upon completion. Experiential learning opportunities to Glacier National Park and Flathead Lake Biological Station in Montana will complement the program's classroom and extracurricular activities. Bennington College has a unique literary legacy, including nine Pulitzer Prize winners, three U.S. poet laureates, four MacArthur Geniuses, countless New York Times bestsellers, and one of Time magazine’s 100 most influential people. In celebration of this legacy, Bennington launched the Young Writers Awards to promote excellence in writing at the high school level. Our goal with this competition is to recognize outstanding writing achievement by high school students. **Explore a future career through interactive simulations, site visits and meetings with industry leaders. 27 Fields of study are available, including Business & Entrepreneurship; Medicine & Health Care; Engineering; Biotechnology; Architecture; International Diplomacy; Psychology & Neuroscience; Journalism, Film, & Media Arts; Law; Sports Management; Theater; and many more! In addition to our U.S.-based programs, we also offer an International Business program at Yale-NUS College in Singapore.